The Khajiit battled across Skyrim and learned the Dragon Shouts, relying on his wits, his sword, and his incomparable cuteness. But as soon as he took that arrow to the knee, he knew his quest was at its end. 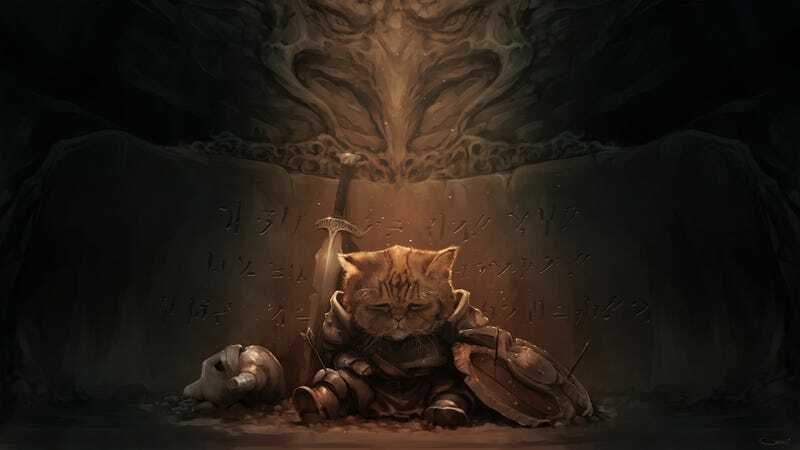 This is the final image from Darren Geers' "The saddest Khajiit" series, which finds our fluffy warrior in a few less-than-happy moments. Poor, poor Khajiit. Your big eyes and tabby stripes make your defeat seem all the gloomier.